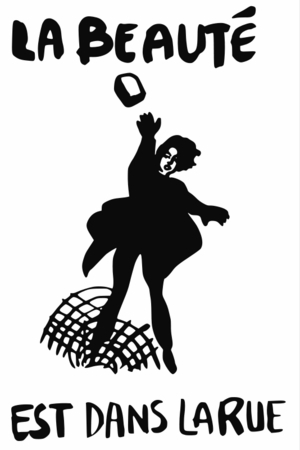 A collection of designs from the 1968 Paris Uprising. Smash Capital Red - Paris May 1968 Street Poster Available in 2 sizes! 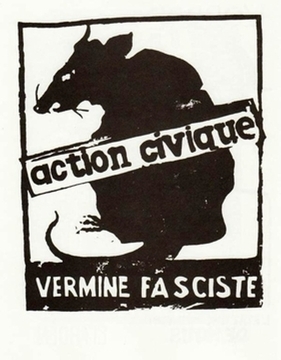 Action Civique Vermine Fasciste - Paris May 1968 Street Poster - Available in 2 sizes! 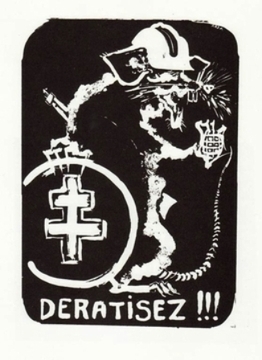 Deratisez - Paris May 1968 Street Poster Available in 2 sizes! 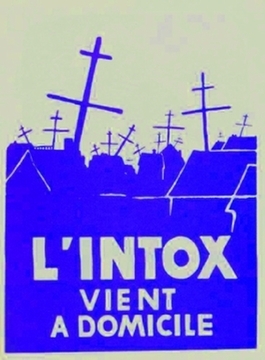 L'Intox Vent a Domicile - Paris May 1968 Street Poster Available in 2 sizes! Police Brutality - Paris May 1968 Street Poster Available in 2 sizes! 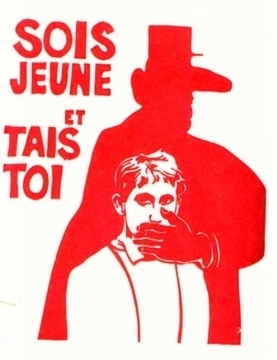 Sois Jeune et Tais Toi (Be Young and Shut Up) Paris May 68 Street Poster Available in 2 sizes! Travailleurs Unis From Paris May 1968 Street Poster Available in 2 sizes! La Beaut� est dans la Rue - Paris May 1968 Street Poster Available in 2 sizes! Smash Capital Poster Paris May 68 Available in 2 sizes! La Lutte Continue - Paris May 1968 Street Poster Available in 2 sizes! We Are The Power -Paris May 68 Street Poster Available in 2 sizes! May 68 Struggle Poster Available in 2 sizes! Borders = Repression From Paris 1968 Street Poster Available in 2 sizes!